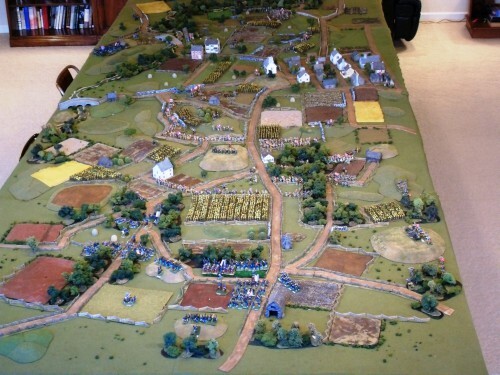 Brad Smith writes: “Our Brisbane [Australia] gaming group commemorated the current anniversary with a 40mm game (on July 1 of course) of Pettigrew/Brockenbrough/Daniel’s afternoon assault towards Seminary Ridge. It was a four player a side game. Ian [Fainges] took photos. All the landmarks were there, the Seminary, McPherson’s barn, the railway cuts and Herbst’s woods along with the Iron Brigade (that started worn after the morning fight), John Burns in his top hat, 26th NC with the boy colonel, etc. 2012 marks the 150th anniversary of the Second Battle of Manassas, one of a series of bloody engagements in the summer of 1862 in which the fortunes of the Civil War briefly swung in the Confederates’ favor. Here, as in the first battle in 1861, the Rebels triumphed convincingly. 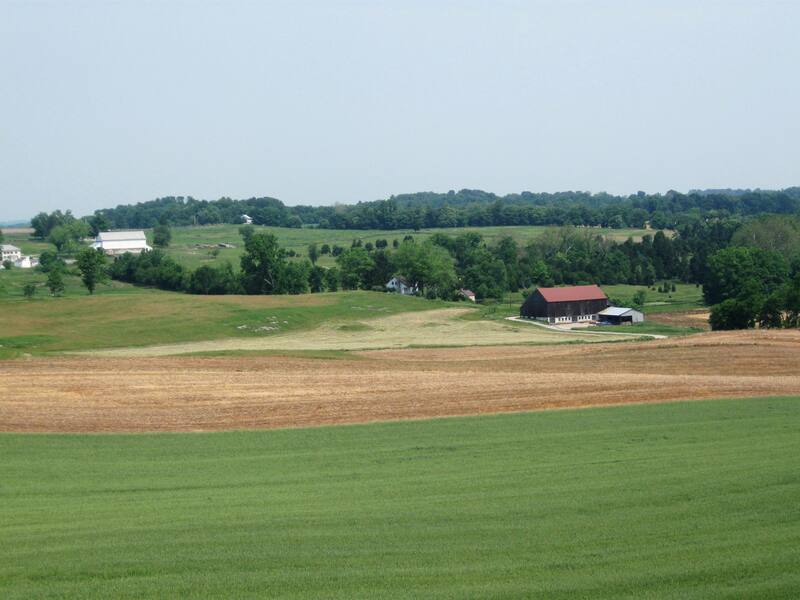 Now, a portion of the battlefield is threatened by a proposed Washington outerbelt. While it is clear that the traffic in the DC metro area is horrendous (as I have found out painfully many times this summer, including a 4-hour delay coming through DC after my Florida vacation in June), locating an interstate on a battlefield does not make sense if there are other alternatives on less historic ground. 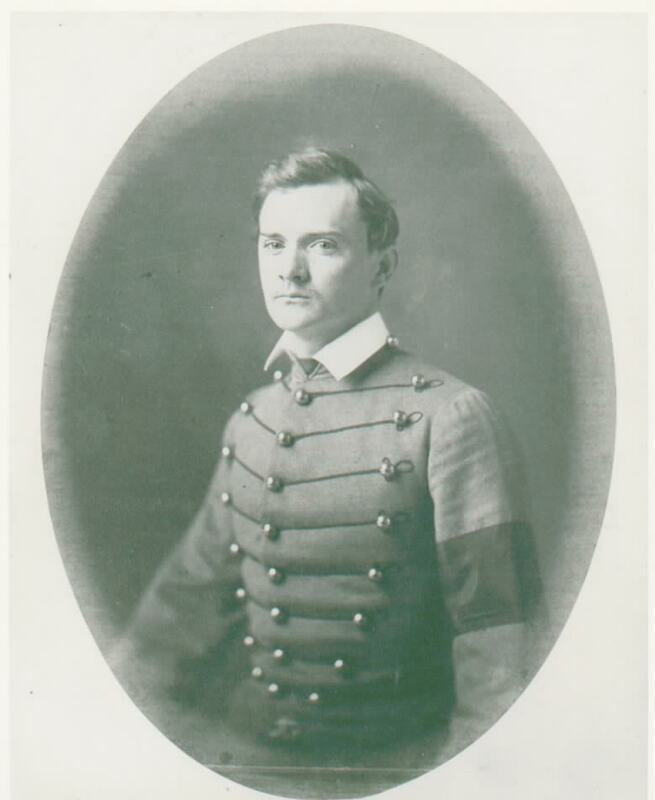 Stewart Schwartz is a descendant of famed Confederate horse artillerist, John Pelham, known as the Boy Major. He fought at both battles at Manassas, and now his descendant is fighting another battle. Schwartz is the Executive Director of the Coalition for Smarter Growth, a lobbying group which is trying to spread the word of the threatened battlefield and help develop other plans. Click here to visit his website and here to sign a petition to protest the planned route. 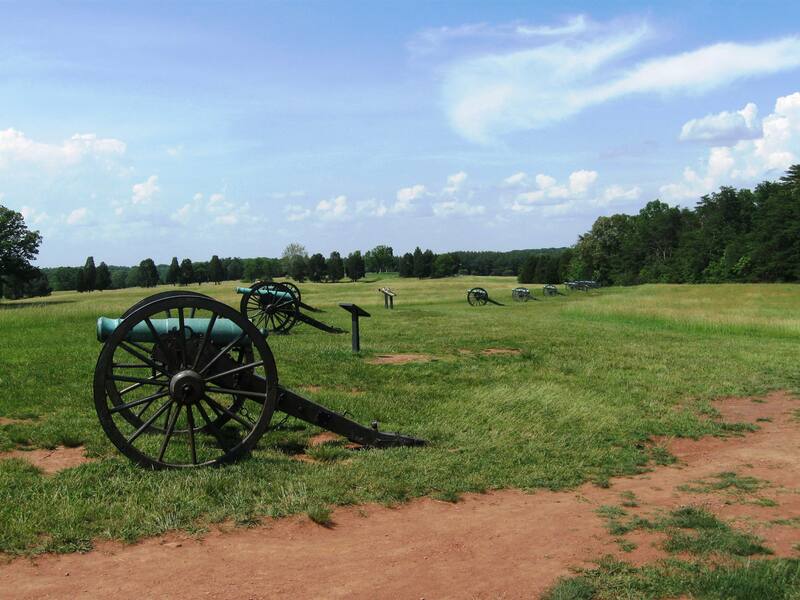 Stewart writes, “Please see the joint press release below explaining the significant concerns of preservation groups about the proposed highway at Manassas. This is shaping up to be the biggest battle to protect Manassas since the Disney fight in 1994. Stewart Schwartz can be reached at stewart@smartergrowth.net. Here are some random photos I took in mid-August 2011 during a visit with three of my family members. 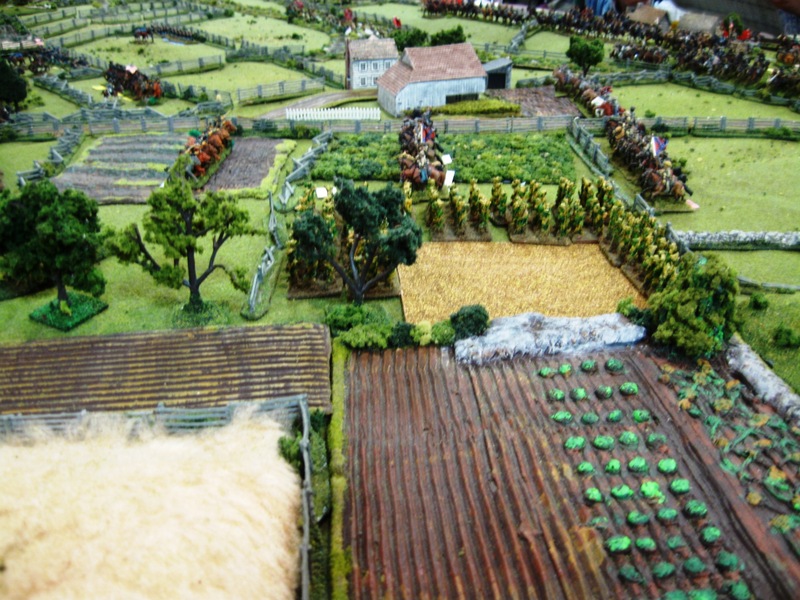 The battlefield is beautiful in the late summer / early autumn! The story of Lieutenant Charles Edward Hazlett‘s death at the Battle of Gettysburg is well known, and appears in early newspaper accounts of the battle within days after the troops had left Pennsylvania. He commanded Battery D, 5th U.S. Artillery during the July 1863 battle. 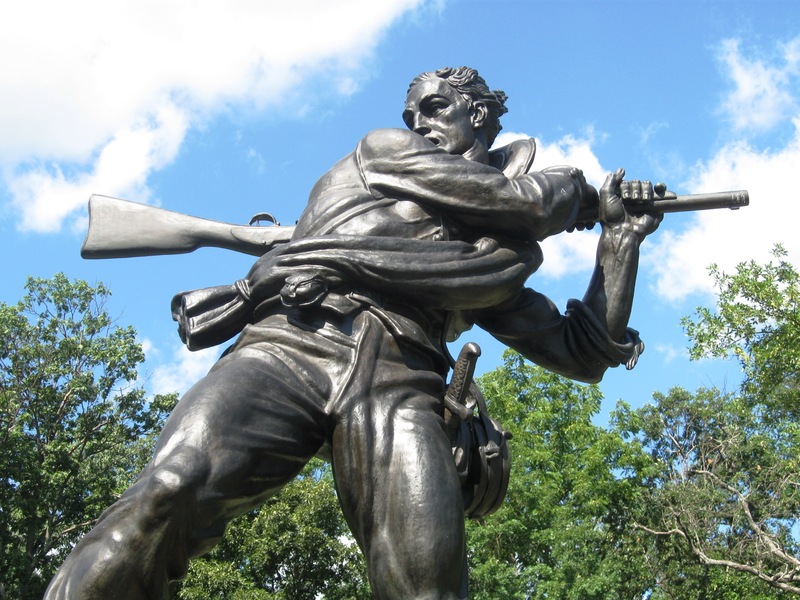 His men laboriously hauled heavy artillery pieces up the steep eastern slope of Little Round Top, positioned them near the crest, and then joined in the defense of the hill. His old friend and former artillery commander, Brig. Gen. Stephen Weed, fell mortally wounded and collapsed to the ground. As Hazlett bent over him, a bullet killed the lieutenant. Family members buried Hazlett in Woodlawn Cemetery in Zanesville, Ohio, where his family lived. His brother would also die in the Civil War, perishing at the Battle of Stone’s River out in Tennessee. On a recent visit to my hometown of Zanesville, I took a few photos of the Hazlett brothers’ graves, which have been nicely restored by the Zanesville Civil War Round Table. 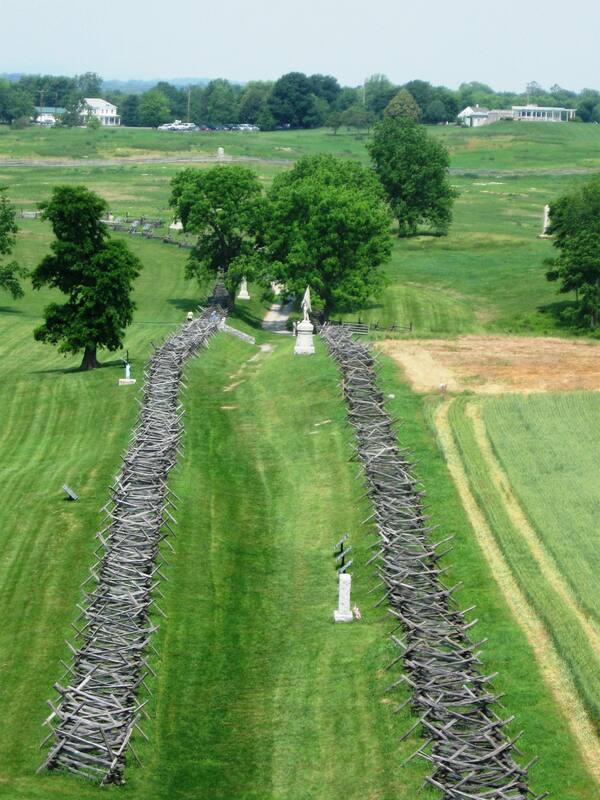 Book review: So You Think You Know Gettysburg? 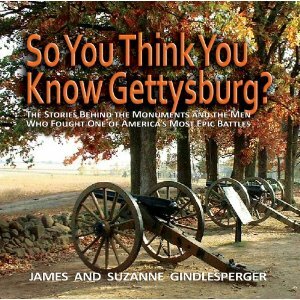 Johnstown, Pennsylvania, authors James and Suzanne Gindlesperger have written what will surely become one of the more popular books for tourists to take home after their visits to the Gettysburg National Military Park. When I am sitting in Gettysburg’s bookshops for my frequent autograph / book signing sessions, I often overhear people discussing which book they should purchase to take home to show their friends and families what they had seen on their battlefield visit, and there have been a few good choices in the past that have been representative. Now, the Gindlespergers’ colorful new book, So You Think You Know Gettysburg? The Stories Behind the Monuments and the Men Who Fought One of America’s Most Epic Battles, has been added to the line-up of titles that I will point out to the inquirers. Filled with visually appealing photographs of the battlefield, monuments, buildings, and town, the book is laid out in a format that facilitates taking it along on battlefield tramping expeditions. Detailed maps (with exact GPS coordinates) show the location where each picture was taken, making the book useful as a driving tour guide. Each photo is accompanied by a brief passage that explains the history of the subject matter. None of these story lines are detailed, nor are they supposed to be, but collectively they give the reader a good overview of the highlights of the Gettysburg experience. While this book has obvious appeal to the casual Gettysburg visitor, there is some relatively obscure information that will be of interest to more seasoned buffs, such as the brief story of John Congdon of the 10th New York Cavalry, who in December 1861 fell from the roof of a train passing through the area, and thus became the first Civil War soldier killed at Gettysburg. 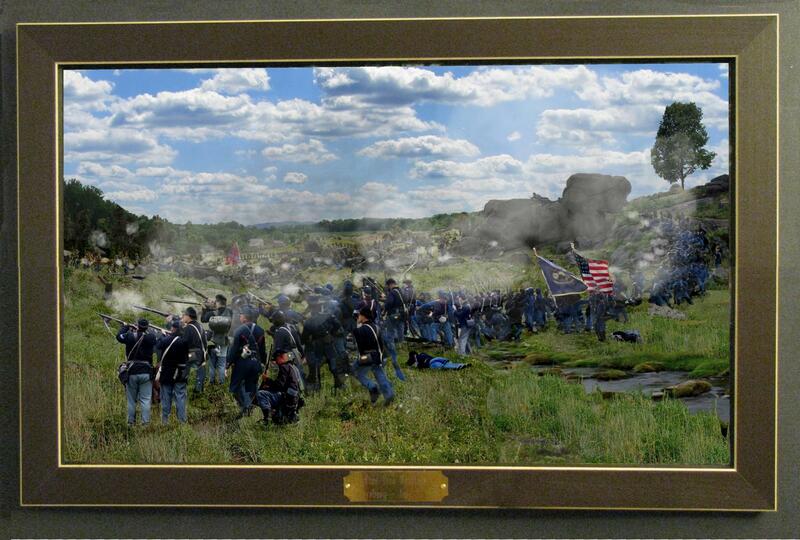 In a size, format, and price that are appealing, So You Think You Know Gettysburg? is a book that should be a part of your collection if you enjoy touring the Gettysburg National Military Park and the town. While not nearly as detailed or comprehensive as J. David Petruzzi and Steve Stanley’s landmark 2009 book The Complete Gettysburg Guide (which stands alone at the very top of the list of battlefield guidebooks), this new work will find its niche in popularity and appeal. It’s well worth the money, and is laid out well with some very nice photographs. * CLICK HERE to read my recent interview with the Gindlespergers! 188 pages, soft bound, illustrated with maps.